The American Racing VN507 Rodder chrome wheel is available in 17x7, 17x8, 18x8, 18x9.5, 20x8 and 20x9.5 sizes. The American Racing VN507 is available for 5-lug vintage and classic muscle car applications. Standard fitment and staggered applications are available. Free shipping on all American Racing VN507 wheels. 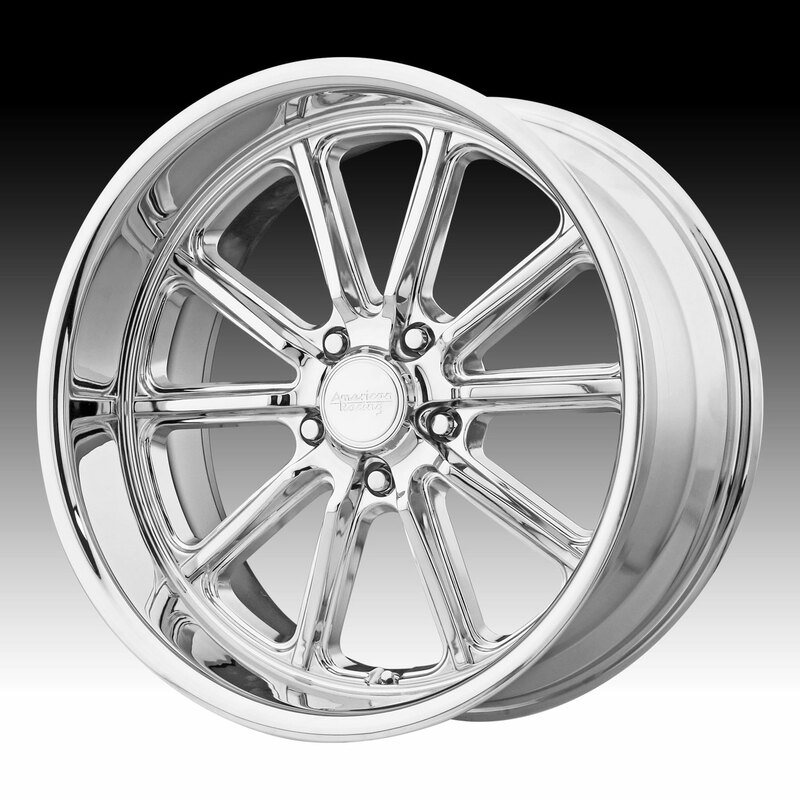 Free lug kit with the purchase of a set of American Racing VN507 Rodder chrome custom wheels.